A new drug aimed at treating potentially deadly Clostridium difficile (C. diff) infections is set to be tested on patients for the first time. Glasgow-based life sciences firm MGB Biopharma (MGB) said it was preparing to launch a Phase II clinical trial of its anti-bacterial agent MGB-BP-3. The trial is expected to involve 30 patients based in North America. All have been diagnosed with C.diff-associated disease (CDAD). C.diff infections can cause diarrhoea and fever. They have been a major problem in hospitals around the world, with thousands of deaths in the US alone linked to the bug each year. The bacteria are able to take over the gut when a course of antibiotics kills off the bugs that normally live there. MGB’s announcement came after it raised £1.3m from investors for trials of the new drug, which was invented at the University of Strathclyde. The funding round was led by Edinburgh-based Archangels, with co-funding from a range of sources, including the Scottish Investment Bank, Barwell and Melrose-based Tri Capital. The cash supplements a £2.7m grant awarded earlier this year by Innovate UK. MGB said its trial would “evaluate safety and tolerability, efficacy and in particular look for improvement in global (or sustained) cure rates”. Chief executive Dr Miroslav Ravic said: “We are already witnessing renewed interest in our new anti-bacterial agent and its trial in key medical centres in North America where CDAD is particularly prevalent. The company said it was aiming to start the trials in areas of the US and Canada with a high incidence of CDAD early next year. This entry was posted in Clinical Research, Clinical Trials, Drug Development, Immunology, Pharmaceutical, R&D on September 17, 2018 by admin. 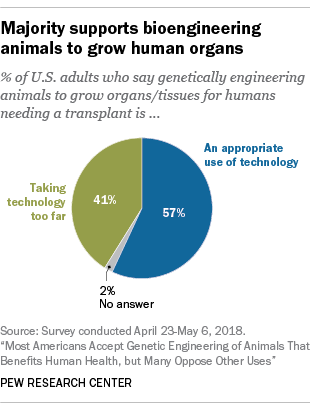 Almost six-in-ten Americans (57%) consider it an appropriate use of technology to genetically engineer animals to grow organs or tissues that could be used for humans needing a transplant, while 41% say this would be going too far, according to a new survey by Pew Research Center. The findings are part of a larger pattern that reveals Americans are more likely to support the bioengineering of animals if it benefits human health. Demand for transplantable organs and tissues continues to grow in the United States. Last year saw the most organ transplants ever performed in the country. Organs were recovered from more than 10,000 donors – an increase of more than 25% over the past 10 years. Health experts attribute this increase, in part, to breakthroughs in medical technology that have made it possible to recover organs that previously would have been unsuitable for transplants. But, despite these advances, the U.S. Department of Health and Human Services reports that the gap between supply and demand remains wide. 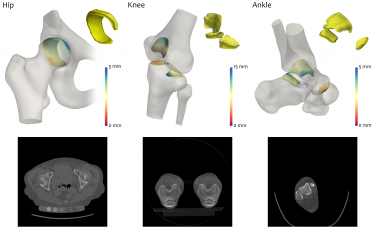 Researchers are hoping to close that gap through the development of new medical technologies. One such approach is 3D organ printing– a process that uses “bio-ink” to print layers of cells that grow to form transplantable tissue. Another method under development uses genetic engineering to grow human organs and tissues in animals. There was a breakthrough with this technique earlier this year, when scientists used gene editing to create hybrid embryos containing both human and sheep cells. When the survey – conducted April 23-May 6 – asked the 41% of respondents who opposed this application of genetic engineering to explain, in their own words, the main reason behind their view, the objections included concerns about the use of animals in this way for human benefit (21% of those asked) and the potential risks for human health (16% of those asked). This entry was posted in Biotechnology, Clinical Research, R&D on August 20, 2018 by admin.